Which Police Agencies Arrest for DUI in Alpharetta? Do I Need an Alpharetta DUI Lawyer? Both the Alpharetta Police Department and the Georgia State Patrol (GSP) make DUI arrests (and issue other traffic tickets) in the city of Alpharetta, GA. A high volume of Alpharetta traffic passes along GA Highway 400 and through part of the police department jurisdiction. Many Alpharetta Traffic Court citations are issued from pullovers initiated on Georgia 400, including DUI arrests. A DUI citation is the accusation of driving under the influence, and is written on a Uniform Traffic Citation (UTC) in almost all instances by Alpharetta police. Under Georgia’s motor vehicle laws, a UTC can be used as the “charging document” for any traffic offense, including a Georgia DUI. So, a driving under the influence case is the most serious misdemeanor offense accused by Alpharetta police, or by GSP troopers. While you may decide to represent yourself on a speeding ticket at Alpharetta Court to save legal fees, you need to hire a top Alpharetta DUI lawyer for any SERIOUS driving offense, like DUI, hit and run, attempting to elude, racing, reckless driving, or a similar offense. Don’t go to City of Alpharetta Municipal Court alone. If you do, you will likely regret the DUI consequences that will follow you for the REST of your LIFE! 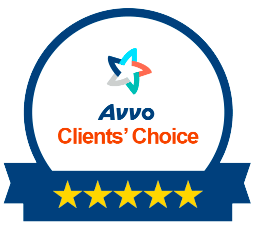 Choose one of our firm partners, who are all recognized by Super Lawyers, to be your Alpharetta DUI lawyer. 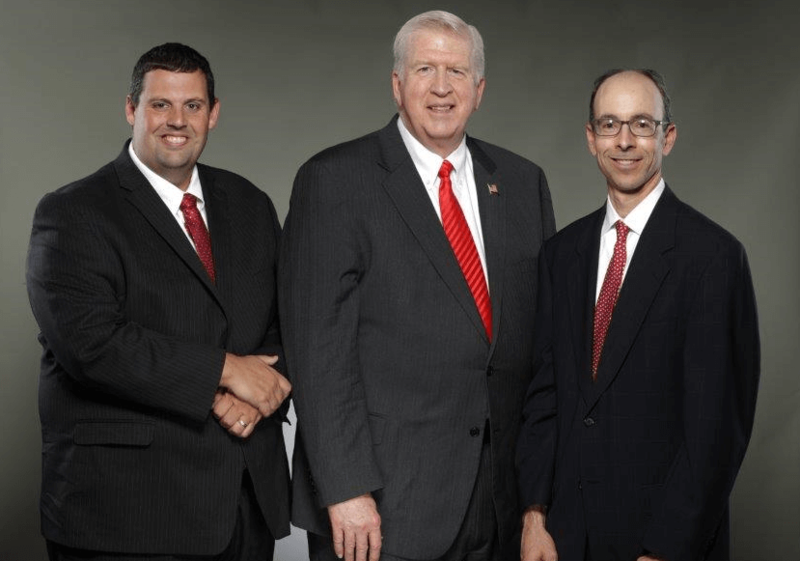 Alpharetta DUI lawyers William C. (Bubba) Head, Larry Kohn, and Cory Yager will fight for you in Alpharetta Municipal Court to keep a DUI from ruining your life. Being pulled over by the Alpharetta police, asked to blow into a breathalyzer and do field sobriety tests, and then handcuffed and driven off to jail is your worst nightmare. What started out as a casual dinner at South Main Kitchen or at Avalon suddenly becomes a harrowing night in jail, with frantic calls to bail bond companies and tow yards, and finally being allowed to return home. Now what happens? The first thing you should do is call us immediately at 404-567-5515 and tell us what happened. We will listen closely and write down all the facts. Then we will advise you on what to do next. Even if you ultimately decide not to hire our Alpharetta law firm to defend you, you will learn a lot more about what happens at your first court date, and why you must file an appeal with the DDS within 30 days – or lose your driver’s license for up to one year. A new option as of July 1, 2017 is to install an ignition interlock device on your vehicle in lieu of filing an appeal. This new law can be complicated, so you should talk to an Alpharetta DUI law firm immediately. Remember, a DUI arrest does not have to become a conviction! You are innocent until proven guilty. 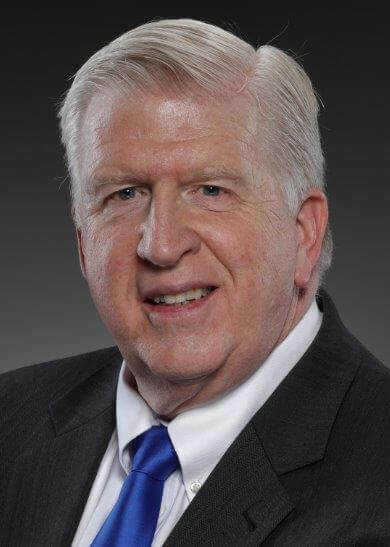 Alpharetta DUI attorney Bubba Head has represented thousands of clients over a 41-year career. He and his partners have many ways to beat a DUI. Then, once the person accused is arraigned, and enters his or her plea, the case will either be resolved in Alpharetta Traffic Court immediately, by entering a guilty plea, or your case will be reset to a future date for other proceedings like obtaining discovery, waiting on a blood test, hearing pre-trial motions, or trial. Do I have to attend my arraignment? Technically, yes. But each Alpharetta DUI lawyer at our office knows that (for people fighting their case) the first appearance in the Alpharetta Court is a waste of our clients’ time. So, our Alpharetta DUI attorneys postpone the arraignment for you. The personnel at the Alpharetta Municipal Court clerk’s office are exceptionally accommodating, and our Alpharetta DUI lawyers often change the court date to fit our client’s schedule. What do I need to do BEFORE my arraignment? 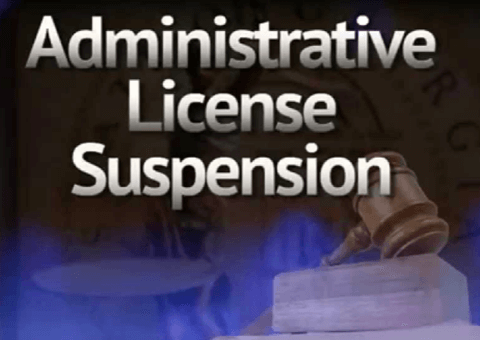 30-DAY DEADLINE LICENSE SUSPENSION WARNING: Almost every DUI arrest by Alpharetta Police or GSP troopers involves ANOTHER legal proceeding to suspend your driver’s license administratively. So, in addition to being charged with a misdemeanor criminal offense in Alpharetta Court, you face an even more pressing 10-day deadline to PROTECT your right to drive. If your LICENSE was taken, you should have received a FORM called a GA DS-1205, which is a temporary driving permit. YOU MUST APPEAL the proposed ADMINISTRATIVE LICENSE SUSPENSION by paying a $150 FILING FEE, and making a written request to be heard at another non-criminal court overseen by OSAH, the Office of State Administrative Hearings. So, you can either DELIVER notice of your ALS license suspension appeal within 30 days, or possibly be without ANY driving privileges on the 31st day AFTER the day of your DUI arrest. By the time of your first criminal court appearance (arraignment), your driver’s license will be suspended, if you do not ACT before this THIRTY-DAY deadline. Georgia DUI law was amended to now offer an alternative to filing an administrative license suspension appeal to certain groups of arrestees. Starting July 1, 2017, you can elect to install an ignition interlock device on your vehicle and NOT file an appeal. Within 30 calendar days of your arrest, you must go to the Georgia DDS to apply for an ignition interlock permit. Then, within 10 days of getting the permit, you must have it installed. The interlock must be on your car for at least 120 days IF you took a breath, blood, or urine test. If you REFUSED chemical testing, the interlock must be on your vehicle for 12 months and cannot be removed for any reason, even if you win your case or it is reduced to another charge such as reckless driving. What does ARRAIGNMENT mean, at my first Alpharetta court appearance? Within a few weeks after a DUI arrest is made by the GA State Patrol or Alpharetta Police Dept., the arrested driver will have a “first appearance” date for the CRIMINAL case, and will be arraigned in Alpharetta Municipal Court. The court arraignment is the first appearance that allows you to be informed of your criminal charges in Alpharetta Municipal Court. These are almost always the SAME charges that are printed on your traffic ticket(s). But the charges can also be reduced or increased by the Solicitor (Prosecutor). Any Alpharetta DUI lawyer who regularly handles criminal cases, including misdemeanor drunk driving cases, has been to the Alpharetta Municipal Court at 12623 Broadwell Road, Alpharetta, GA. The Clerk of the Municipal Court of Alpharetta is Elizabeth Sahlin, and the entire clerk’s office employs experienced and helpful deputy clerks and assistance clerks to help anyone facing a DUI in Alpharetta. Ms. Sahlin has been the Clerk of City of Alpharetta Municipal Court for over a quarter of a century. If you have not hired legal counsel, don’t fear going to your arraignment date alone, but please understand that Georgia law requires any motions to be filed within 10 days of the arraignment date, so it is critical that you hire an Alpharetta DUI lawyer before your arraignment so that your video, your police report, and any other pertinent information can be collected. You must get busy hiring an attorney to protect your legal rights, before this different 10-day deadline after the Alpharetta Court arraignment is concluded. What happens at the Municipal Court of Alpharetta arraignment hearing? At the arraignment hearing, you Alpharetta DUI lawyer typically confers with the Prosecutor, Ms. Fran Shoenthal, who has served in this capacity for over 20 years. Unless your DUI case is being resolved that day by a negotiated plea, or being bound over to Fulton County State Court, nothing significant will take place at the arraignment. Any “final” disposition in Alpharetta Municipal Court usually will not be accomplished by you being arraigned in court. Remember, do not plead guilty and live with a DUI conviction on your permanent record for the rest of your life. Which DUI attorney in Alpharetta can tell me how to beat a DUI in court? 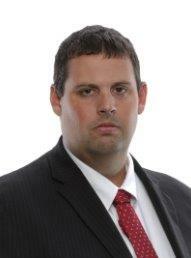 Alpharetta DUI lawyer William C. (Bubba) Head is a master of strategy in the courtroom. His job is to either secure a non-DUI plea arrangement from the prosecutor, or to bind the case over to Fulton County State Court. If necessary, he will take your case all the way to trial. His job is to convince a jury that you are not guilty of DUI. Mr. Head has succeeded in finding resolutions to DUI arrests like yours for over 40 years. 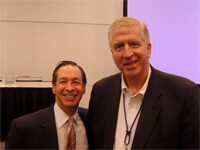 He wrote his first book on “How to Beat a DUI” in 1991. Our Alpharetta criminal lawyers bring 160 years of combined criminal experience to serving our DUI clients in the Alpharetta Court. Our Alpharetta attorneys include Georgia’s most noted legal book author on Georgia DUI laws, William C. (Bubba) Head. We also have the former Roswell Municipal Court Judge, Hon. Maurice H. Hilliard Jr., whose 59-year legal career included 33 years as the Municipal Court Judge in Roswell, GA. He occasionally filled in (when asked) as the Alpharetta Municipal Court judge for several of the former judges. 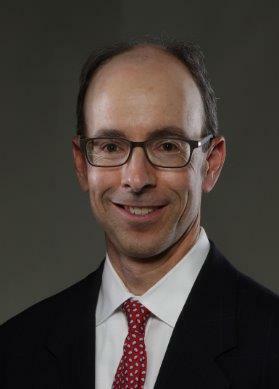 Barry Zimmerman is the current judge of the Alpharetta Municipal Court. In his 33 years on the bench, Judge Hilliard presided over more than 150,000 Municipal Court cases. In addition to former Judge Hilliard, one of our partners, Cory Yager, was a Roswell GA police officer for about 5 years, during which time he also attended law school. Interactions and long-term relationships between the Roswell Police Department and Alpharetta Police Department were commonplace, and Mr. Yager is still close friends with many Alpharetta police department officers. Because our DUI law firm covers all of metropolitan Atlanta and beyond, we maintain several offices near our busiest Municipal Courts. Our Alpharetta satellite office is located at 1001 Cambridge Square, Suite D-2, Alpharetta, GA 30009. Among the busiest of our Fulton County Municipal Courts are: Alpharetta Municipal Court, Roswell Municipal Court, Milton Municipal Court, and Johns Creek Municipal Court. Our main DUI office, at the Concourse Twin Towers (King and Queen Buildings) in Sandy Springs, services all of North Fulton County in fighting DUI cases in Georgia’s municipal courts. All municipal courts in Georgia are authorized to handle all misdemeanor traffic offenses, including Alpharetta DUIs. Whether your DUI arrest was for an Alpharetta, Milton, or Roswell drunk driving charge, our DUI attorney specialists will go to court for you. Here are brief professional profiles of the Georgia DUI attorneys at our law firm. William C. Head, Alpharetta DUI Lawyer, with 40 years of drunk driving defense, has been a nationally-known DUI book author for the last 25 years. Mr. Head is one of only 4 Board Certified DUI Defense Attorneys, has been listed in Best Lawyers in America longer than any other Georgia criminal defense lawyer, and has been named to Super Lawyers EVERY year since the award was started, a distinction that only one other Georgia attorney has earned. Mr. Head also has been honored with a “DUI Lawyer of the Year in Georgia” award for 2012 and 2017 from BestLawyers.com. 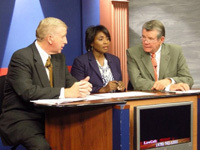 Plus, in 2003, Mr. Head was voted the “Best DUI Attorney in America” by the members of the largest DUI defense lawyer group in the country, NCDD.com. Cory E. Yager, DUI Attorney Alpharetta GA, in his 9th year of DUI defense after 9 ½ years as a Georgia police officer, has been a Super Lawyers “Rising Star” the last 5 years in a row. Our DUI law firm answers your calls during the day, at night, on weekends, and even on holidays. Why? People in urgent trouble don’t want to talk to a machine and leave a message. Our DUI lawyers know the stress created by being arrested for drunken driving. Call our DUI defense firm now for a FREE professional case evaluation, and get a FREE copy of the 430-page DUI Book that Mr. Head wrote specifically for clients facing criminal charges. 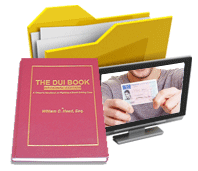 Let us help you avoid a DUI license suspension, by having our criminal defense attorneys help you file your 10-day letter. As soon as we speak with you, our highly-trained Georgia attorneys and support staff can help you file your Georgia DDS letter to appeal the pending driver’s license suspension that began when the arresting officer took your license and replaced it with a piece of paper. You only have 30 DAYS to file an appeal or have an ignition interlock installed, so call us now! 404-567-5515 or 1-888-348-4232 [1-888-DUI-HEAD]. We are here to show you how to BEAT an Alpharetta DUI. We will accept nothing less.